Open for entries! The biggest poetry competition for young writers is once again open, looking for the very best poems by writers aged 11-17. This year’s prestigious poet judges are Jackie Kay and Raymond Antrobus. You must be aged 11-17 on the deadline of 31 July 2019 to enter. 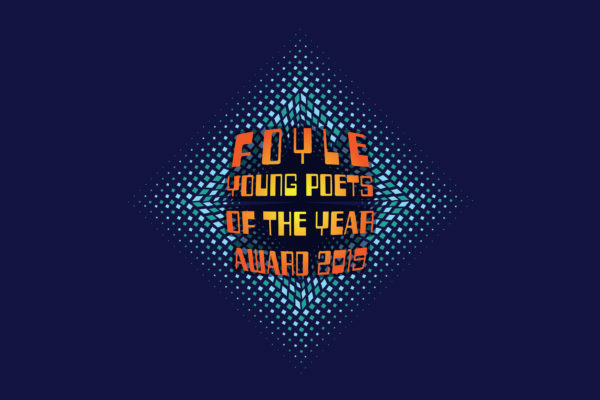 The Foyle Young Poets of the Year Award has kick-started the career of the some of the freshest names in poetry. Former winners included Sarah Howe, Helen Mort, Caroline Bird, Richard O’Brien, Jay Bernard and many more. The top 100 chosen poets (15 top winners and 85 commended), receive a range of fantastic prizes, from mentoring to a place on a life-changing Arvon writing course, from The Poetry Society membership to a stack of poetry goodies. They also continue to receive support and development opportunities from The Poetry Society. We also offer resources for teachers and youth group leaders to enter the young people they work with. When will the 2017 competition open? Very excited to enter one of my students. This year’s competition will be opening very shortly – keep your eye on YPN and the main Poetry Society website for the announcement! I want to sign up independently (without school helping) as I’ve written what myself and close family rate as quite a powerful piece. Have the winners of the 2017 contest been notified? When is entry open for 2018; so sad I missed this year! Thanks for your interest! The competition is currently closed, and will open in the spring of next year. Keep checking the website! Hi… when is this competition going to be held? What is the last date for poetry entries ? And are there any more terms & conditions to participate for this competition. I’m interested. So just wanted to know more. Thanks for your comment. The competition will launch by the end of March 2018, and it will close on 31 July 2018. It’s open to all poets from around the world between the ages of 11-17 (on 31 July 2018). There are no themes and it is free to enter. Check the website in a few weeks and you will be able to find all the terms and conditions there! We’d love to receive an entry from you. If you’d like to be added to a mailing list that will notify you when it launches, do let me know. Thank you so much for this information. Please do add me to the Young Poets Network (YPN) ebulletin and the mailing list. I’ll try to enter my poetry as soon as possible. Great – will do! I’m going to send you an email asking for a couple of details we need from you to add you to the list, so keep an eye on your mailbox. Has the poetry competition launched ? How can I participate in it ? I will also like to be added to the mailing list. really interested in entry and have a number of poems in mind. Is there a maximum number I can enter? That’s great to hear – we can’t wait to receive your entries! There’s no maximum number of entries, though do note that the judges are looking for quality over quantity, and your entry will be anonymised. If you do have any more questions, check out our FAQ page: poetrysociety.org.uk/competitions/foyle-young-poets-of-the-year-award/foyle-young-poets-faq/ or email fyp@poetrysociety.org.uk. Have the winners of 2018 been announced yet? The winners will be announced publicly on 2 October 2018. The winners will be contacted themselves by mid-September.